Leading Edge Aviation is a full service animal capture company that is AMD/OAS ACETA carded. We have effectively captured over 10,000 animals with our team. We have net gunning and darting services and can provide veterinarian services as well. We use the most humane techniques to process animals efficiently to minimize the time they are handled and stress. 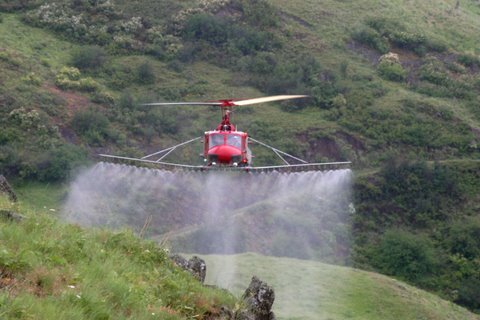 We have expertise in aerial spray applications in rugged and remote country. 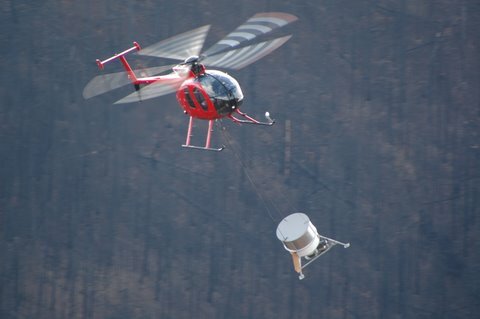 Exact rates coupled with pinpoint accuracy (GPS and GIS shapefiles) make helicopter spraying ideal in the Western States. Weed control can help increase the productivity of your rangeland or cropland. 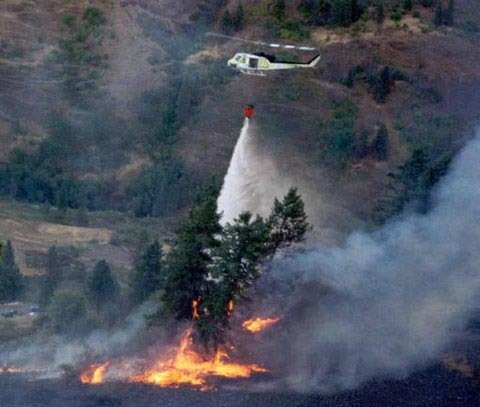 Leading Edge has experienced fire pilots who have worked fires in the Western US for decades. We are capable of heavy lifting for bucket work and can also operate as a command platform with multiple radio capabilities. We are a fully funcional inventory platform for your needs. We have done fish and wildlife surveys, mapped fires, vegetation, invasive weeds, and have pioneered the most effective mapping techniques in rugged terrain. We also have GIS capabilities and have a GIS staffperson capable of designing applications to capture specific attribute data and create shapefiles for your analysis. We can also produce large color maps of the findings of our flights! We have expertise and experience applying a variety of produts in remote areas. We have custom designed the most efficient application accessories to complete every job to the highest standards. 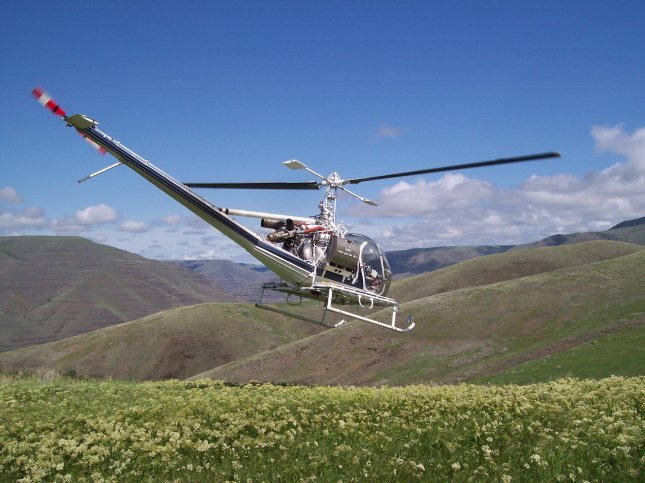 Miscellaneous services include precision heavy lifting, flightseeing, seismic support, aerial fertilizing, Photograhpy/Video, Forest Management, Cherry drying, Frost Protection, Powerline Inspection, and more! Give us a call today to discuss your project. We look forward to talking with you!